George Walker Bush graduated from flight school at Moody Air Force Base near Ray City, GA. 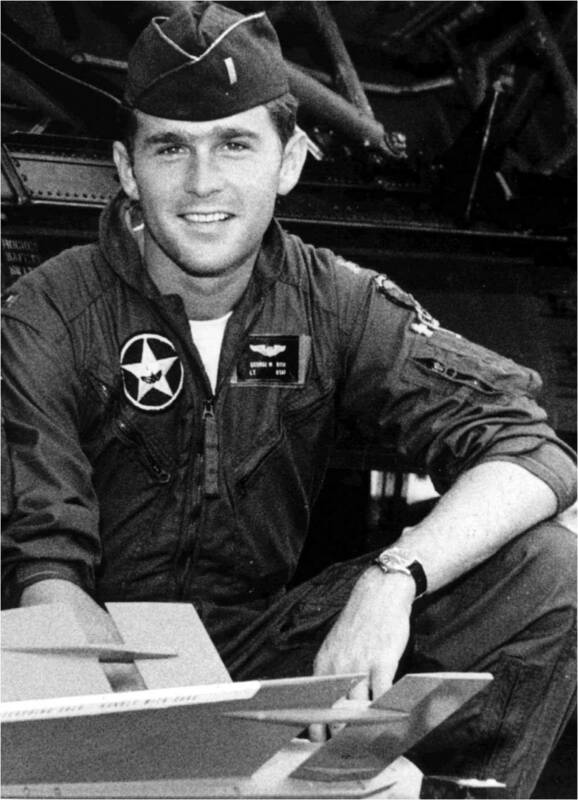 In the winter of 1968 while a senior at Yale , George Walker Bush went to Westover Air Force Base in Massachusetts to be tested as a pilot candidate. He joined the Texas Air Guard on May 27, 1968, with the rank of Airman Basic and began basic training next day at Lackland Air Force Base near San Antonio. He served as an enlisted man in “active duty for training” for three months. On September 4, 1968, he was commissioned as a 2nd Lieutenant and assigned to the 111th Fighter Interceptor Squadron (147th FI Group) at Ellington AFB near Houston. On November 21, 1968 he was sent to the 3550th Student Squadron at Moody AFB in Georgia for flight training. If he followed the usual regimen, he would have flown 30 hours in a T-41–a military version of the familiar Cessna 172 –before advancing to T-37 and T-38 jet trainers. At the end of his first year in the Air Guard, his 201 (personnel) file credited him with 226 days as an officer. Adding 95 days as an enlisted man, he served nearly eleven months during his first year in the Air Guard. Bush graduated No. 23 out of the 53 pilots in his class at Moody. His father, then a Texas Congressman, gave the squadron’s commencement speech in November 1969. On November 30, 1969, Bush returned to the 111th FIS at Ellington AFB and received his pilot’s wings in March 1970. Pentagon records released in September 2004 show that Bush flew a total of 326.4 hours as pilot-in-command over the three years 1970-1972. In addition, he was credited with 9.9 hours as co-pilot, presumably in a two-seat TF-102A trainer while qualifying to fly the supersonic jet. The records show Bush’s last flight was in April 1972. 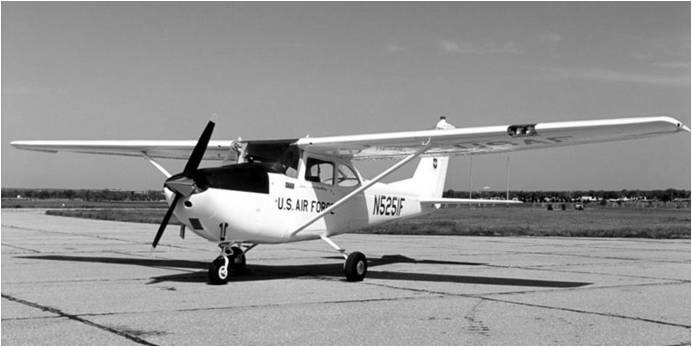 The T-41 trainer is a standard Cessna Model 172 light general aviation aircraft purchased “off-the-shelf” by the Air Force for preliminary flight screening of USAF pilot candidates. The first 170 T-41As were ordered in 1964, and an additional 34 were ordered in 1967. Most went into service at various civilian contract flight schools, each located near one of Air Training Command’s Undergraduate Pilot Training (UPT) bases. In 1968 and 1969 the USAF Academy acquired 52 T-41Cs, with more powerful engines, for cadet flight training. Cessna T-37 Tweet. 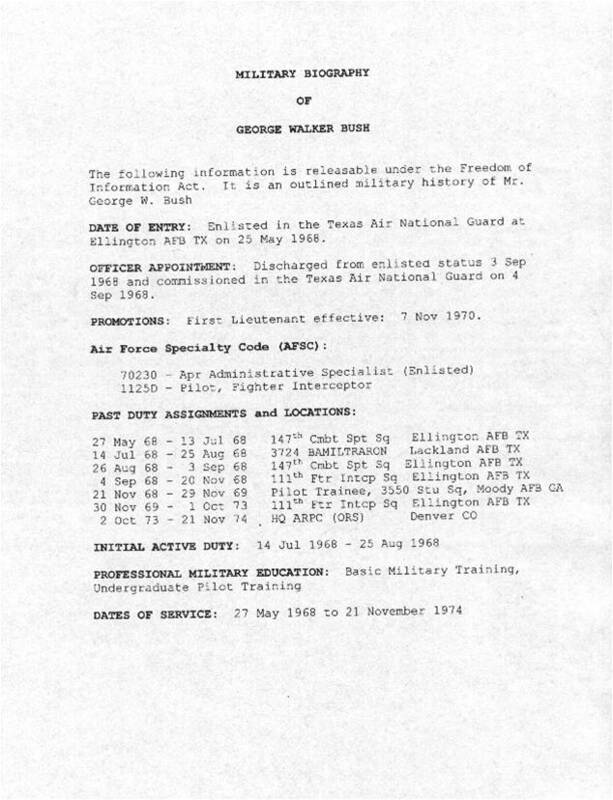 From 1961 to 1975 there were no changes in the mission or responsibilities at Moody. The 3550th, under the Consolidated Pilot Training Program, trained Air Force officers as aircrew members with the Cessna T-37 and T-38. During this 14 years, 4,432 pilots were trained and received their wings. Base personnel strength varied during the period from 2,000 to 3,000 military personnel. On 1 December 1973, the 3550th Pilot Training Wing inactivated and the 38th Flying Training Wing activated in its place; however, no changes in personnel, mission, or aircraft ensued. Northrop T-38 Talon. The T-38 Talon is a twin-engine, high-altitude, supersonic jet trainer used in a variety of roles because of its design, economy of operations, ease of maintenance, high performance and exceptional safety record. It is used primarily by Air Education and Training Command for undergraduate pilot and pilot instructor training. Air Combat Command, Air Mobility Command and the National Aeronautics and Space Administration also use the T-38 in various roles. The instructor and student sit in tandem on rocket-powered ejection seats in a pressurized, air-conditioned cockpit. Student pilots fly the T-38A to learn supersonic techniques, aerobatics, formation, night and instrument flying and cross-country navigation. More than 60,000 pilots have earned their wings in the T-38A.